Planting a garden often means preparing the soil and planting seeds. However, you need to have all the seeds at hand you want to plant. Seedlings can also be used if you take the time to properly start them. 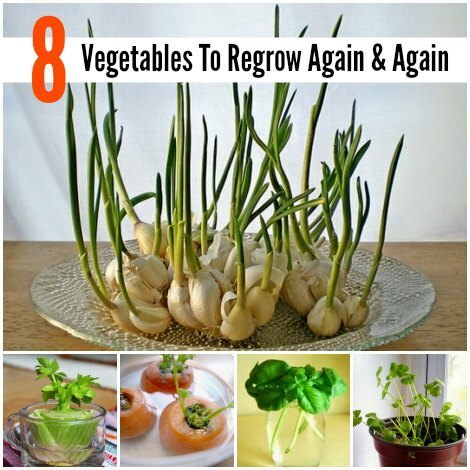 Another option is to use vegetables that are easy to regrow. The types of vegetables that can be regrown can be almost any item you may already have in your kitchen. The key to having vegetables to regrow successfully is proper preparation. If you are not ready to have a new supply of vegetables, then this is the time to prepare. The most important thing to do is to save the cuttings and leftover pieces from vegetables like celery, garlic, and scallions. All you need to do is keep the vegetables to regrow stored in your refrigerator until you are ready to begin this project. Most vegetables to regrow at home can be obtained from multiple sources. You have the option of finding a selection of vegetables at a grocery store or farmer’s market. Another option is to use various vegetables you are already be growing at home. The process used when you want vegetable pieces to grow is similar to rooting a houseplant. A sprout or root needs to develop for vegetables to regrow successfully. This can be done by using any type of container that you have available. The best option is to use glass jars or glasses in your kitchen. There is almost no work that will be needed for your vegetables to start growing on their own. Some vegetables to regrow at home can be used right away and others need to be moved to a container with suitable soil. The reason is certain vegetables may take a couple months to develop. Another option is to transfer vegetables with sprouts or roots to your outdoor garden.